Even though we at GolfGym feel that our Golf Performance Tools are the most portable, lightweight, effective products available to golfers we are also quick to acknowledge and use other tools to help the golfers coming to the Academy. 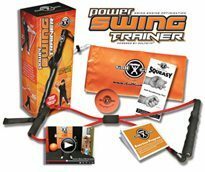 One of those tools is the Power Swing Fan by Dr. Gary Wiren. Many of the players that visit our facility will at one time or another pick up the Swing Fan and swing away. 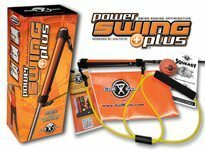 It adds resistance to your full swing and will help to strengthen your overall swing. We shot some video with Stephen Grant, a retired footballer (soccer player) from Ireland who has been training here with Coach Fronk in pursuit of a Professional Golf Career in Europe. He does a really effective series of drills with the Swing Fan. Check out the great form that Stephen exhibits. These drills are even more effective if your perform them in front of a mirror. Don't pick your head up to look. Stay in a really good golf posture and just lift your gaze to see how your swing looks. You can really see your body movement that way. Notice how he gets over to his left side through impact. 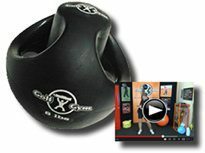 You can see more training videos with Stephen and Coach Fronk at www.golfgym.com. If you are interested, we offer the Power Swing Fan there as well. Looking forward to some great weather for Christmas here in South Florida. 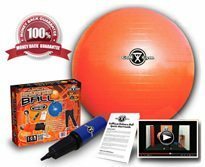 I don't mean to rub it in if you live in a snow zone but, if you do...it's a great time to start some indoor training for next season. I am also in South Florida where your swing fan must be selling well. One of my students was swinging one when I showed up at the driving range. I would love to be included in your blogroll as Over the Top Golf. 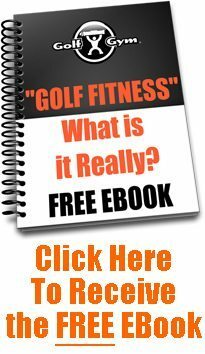 The articles I write are about golf instruction and other golf-related things. I will, of course, be happy to reciprocate. The Winning Drive By George "The Animal"